Your Xperia Z Needs These Accessories! We have all been there. You get yourself a new smartphone and the first thing you need to do is get your hands on the right accessories worthy of your new electronic companion. So what accessories are worthy of the mighty Sony Xperia Z you ask? Well, here are three that we think your Xperia Z should not do without! The Muvit Qi Wireless Charging Kit is one of those must have accessories. Not only does it allow you to charge your phone without any fuss (or wires!) but it also looks incredible with its slim and sleek design, which really complements the beautiful style of the Sony Xperia Z. This and the fact that it is a wireless device also saves you a lot of space, which is always a big bonus. The kit comes with both the Qi charging pad and charging case, which means that you also get some extra protection for your phone. 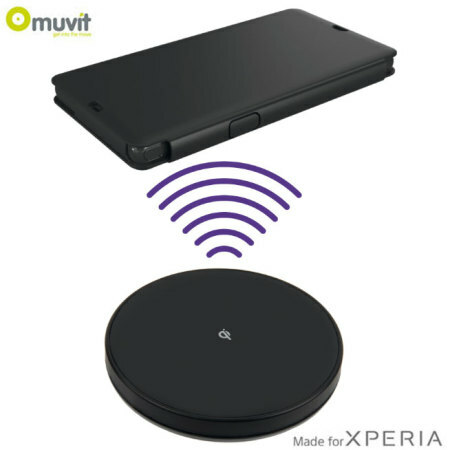 As the Muvit Qi Wireless Charging Kit is specifically designed for the Sony Xperia Z you can rest assured that it is going to fit like a glove. 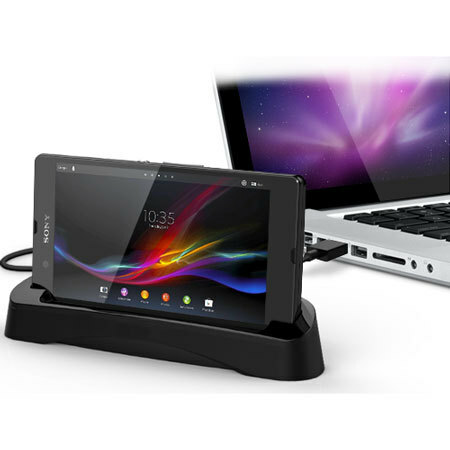 We really like the Cover-Mate Desktop Cradle for the Sony Xperia Z. Not only does it charge your smartphone but it also lets you sync your photos, videos and apps at the same time! What’s also great is the fact that the style of the cradle enables you to view your media horizontally. So, not only is the Cover-Mate Desktop Cradle useful for charging your device but it also acts as the perfect home base for your desk, workstation, or bedside table by holding the console at a perfect angle for watching movies and listening to music. You can rest assured that the Cover-Mate will not obstruct the superb look of the Sony Xperia Z. It was designed from start to finish to complement the sleek aesthetic styling of the Xperia Z handset, making this desktop cradle the perfect combination of form and function. Last but by no means least, an LED indicator keep you aware of the charging status of your phone so that it is ready to go when you are. This list simply wouldn’t be complete without the Ultimate Pack for Sony Xperia Z. It contains a staggering 6 must-have accessories for the Sony Xperia Z, including the Sony Xperia Z Desk Stand, Sony Xperia Z Car Holder, FlexiShield Skin for Xperia Z, Mini Portable Desk Stand, Xperia Z Car Charger and 5 MFX Screen Protectors. With this one accessory pack you can easily and efficiently protect, store and even charge your Sony Xperia Z. And because we know that you don’t want to impact the style and weight of your smartphone, we have made sure that each accessory is made with a small, discreet and lightweight design. 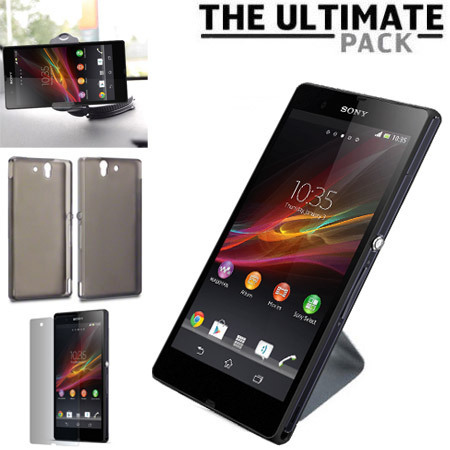 Finally, this Ultimate Pack has been specifically designed for the Sony Xperia Z. That means that each accessory in the pack will fit and work perfectly. And, more importantly, each accessory is designed to work with each other, so if you want to use your phone in the desk stand or car holder you don’t need to remove the FlexiShield cover that comes with it. Is this the perfect accessory pack for your Xperia Z, or what? Not tempted by any of the above accessories? Not a problem, we have got plenty more in stock for you. Why don’t you have a look at our other Cases, Screen Protectors, Chargers or Car Holders? Samsung Galaxy S4 Revealed Tonight! Join us as we eagerly await and watch the live launch of the Samsung Galaxy S4. If you’re planning on getting your hands on one of the most anticipated handsets of the year, you should also think about giving it the stylish protection it deserves! Fortunately for you, at Mobile Fun we already have some pretty sleek accessories available for you. We’ll be adding more Samsung Galaxy S4 accessories immediately after the event, on top of the few Samsung Galaxy S4 cases that we have already added to our virtual shelves. Show Your Nexus 4 Some Love. Get It A GENx Hybrid Bumper! We all know the feeling. You get your hands on a Google Nexus 4 and before you know it, the sides are dented and scratched. Really, we should have gotten it some protection right from the start. Hindsight is a beautiful thing. Fortunately for you, the GENx Hybrid Bumper Case not only offers the same minimal signature as the official Google Nexus bumper, but it also has improved protection from impacts due to its state of the art hybrid material design, combining TPU and polycarbonate to provide unparalleled protection. What better way to show your Nexus 4 some love? An added bonus is that the hybrid material used on this Google Nexus 4 case makes the notoriously slippery Nexus 4 much easier to grip and gives you a great deal more support when texting, making a call or playing the latest apps from Google Play. The grippy surface of the bumper also means that is is much less likely to slip out of your pocket or off your desk. Perhaps what is best of all about the GENx Hybrid Bumper Case, is the fact that you still get to show off that beautiful rear Nexus 4 panel with its cool reflective spheres. This must have bumper also achieves the minimum of added bulk, ensuring your Nexus 4 gets to retain its sleek and stylish look. For more information, check out the product page below.